The infamous Catacombs of Paris, while not for the faint of heart, should not be missed by those who appreciate the more macabre side of history. Guests descend 130 stairs before landing in small exhibit explaining some of the history of the catacombs. Originally, these simple tunnels were quarries, a source of stone to construct the buildings above. But in the late 1700s, all of that changed. For over 1,000 years the Cemetery of the Innocents was the final resting place for many Parisians, but the cemetery became a source of infections and diseases to the inhabitants around the area. On November 9th, 1785, the Council of the State decided to remove the contents of the cemetery to abandoned underground quarries in an attempt to quell the infections. 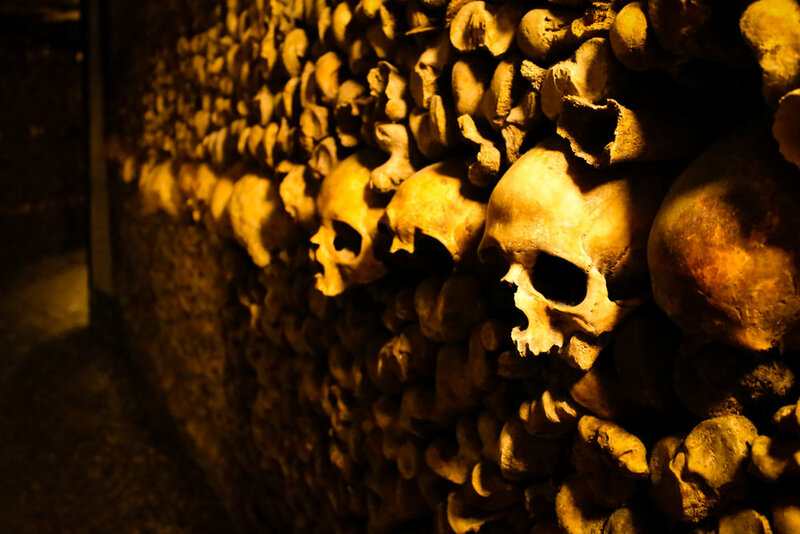 In total, the bones of over 6 million French people were transferred to the Catacombs. It’s hard to believe that not all that long ago, these were humans, just like you and me, walking, talking, feeling, humans. There are few experiences in this world more humbling.